Are you a Swagbucks member? This post is to go over my Swagbucks story! I joined back in 2007 and have been using the site actively ever since then, it's a part of my daily internet activity and earns me $100 in Paypal every month! I recommend joining very much. It's a great site for earning some extra money on the side. If you haven't heard of Swagbucks before they are the biggest search and win program online. 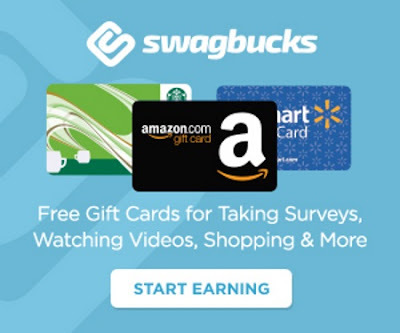 You earn points known as Swagbucks for doing things such as searching, watching videos, doing surveys, special offers, entering Swagcodes and then redeem those on free stuff such as Paypal money, gift cards for a variety of retailers like Amazon, Sephora, Starbucks and more. Every day there is a Swagbucks Swagcode posted. If I catch it, I share it on social media and blog it here in our Swagbucks Swagcodes post.